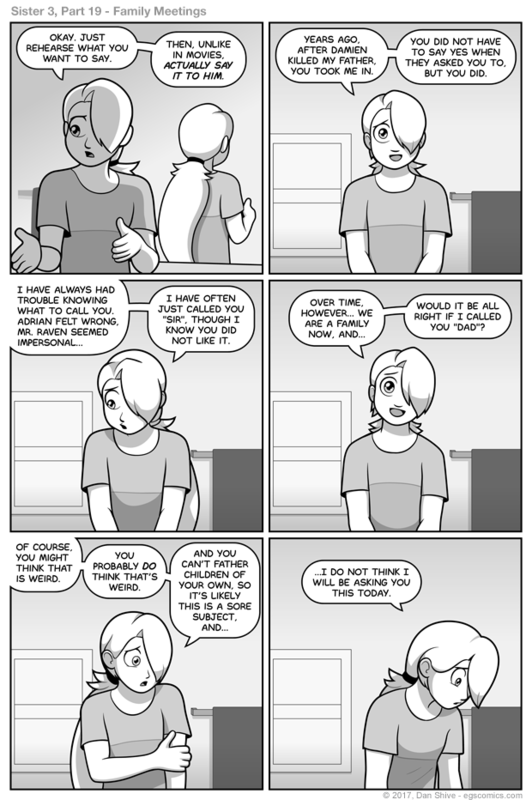 Ye GODS did this comic take me a long time for something so visually simple. Thanks to a hardware issue that hasn't really been resolved yet, I found myself dealing with that and getting my backup magic comic creation device setup so production on... Well, everything wouldn't be delayed indefinitely. Anyway, I don't want to come off as whining about that. I'm lucky that sort of thing can happen while having options to deal with it, and I have much to be thankful for. Nonetheless, I state the following: Blargh. Anyway, this comic! ...Noah is cute. This is your insightful commentary for the day.